The 2018 RAV4 is about to be replaced by an all-new generation in two weeks. Here are the crossovers that Toyota's 6-year-old design still outsells and one that it can't top. Toyota's current RAV4 has been a top-seller every year that it has been produced. Introduced in January of 2013, the current generation has sold extremely well, and in fact, sold more units every year it was produced. By the end of its run, it will be approaching 2 million total sales for just this current generation. Even though the RAV4 is the oldest design in its class among top sellers, it still outsells every major competitor - except one. 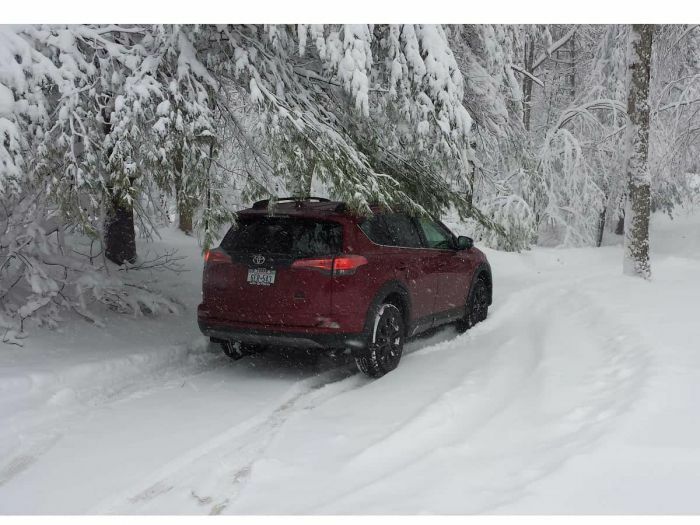 The RAV4 through the end of February of this year (2018) has sold a remarkable 56,522 units. That is up about 17% on a volume basis over last year's first two months. Let's run down the more recently designed models that the old, and now outgoing, 2018 RAV4 still beats in sales. First up is the outstanding Honda CR-V. With sales of 50,178 units the innovative Honda CR-V in its second year since a major redesign is being beaten by a lower-tech, lower-content RAV4. We've tested both and the CR-V is better in many ways, but Toyota's reputation for durability and its high value must be what is pushing it ahead of what seems to be a better vehicle. The irony here is that the CR-V would have topped the RAV4 if it had simply maintained its same sales pace as last year. But alas, the Honda is down an almost shocking 18% compared to last year. Toyota's RAV4 also beats the Ford Escape which has sales of 39,980 units and is down by 17%. The all-new Chevy Equinox and GMC Terrain have a fresh new design less than one-year-old, but have only garnered sales of 50,458 and 17,385 units respectively. The Subaru Forester does very well in some sections of the U.S. and in all fairness, is also about to be redesigned, but its sales are just 22,488 for the first two months of 2018, down about 12%. So which crossover does beat the outgoing RAV4? That would be the Nissan Rogue, with sales of 74,303 units. Amazing when you consider that this vehicle has increased its sales by a whopping 20% this year. The now two-year-old refresh of the Rogue is clearly winning customers. Look for details on the all-new 2019 RAV4 on March 28th here at Torque News.